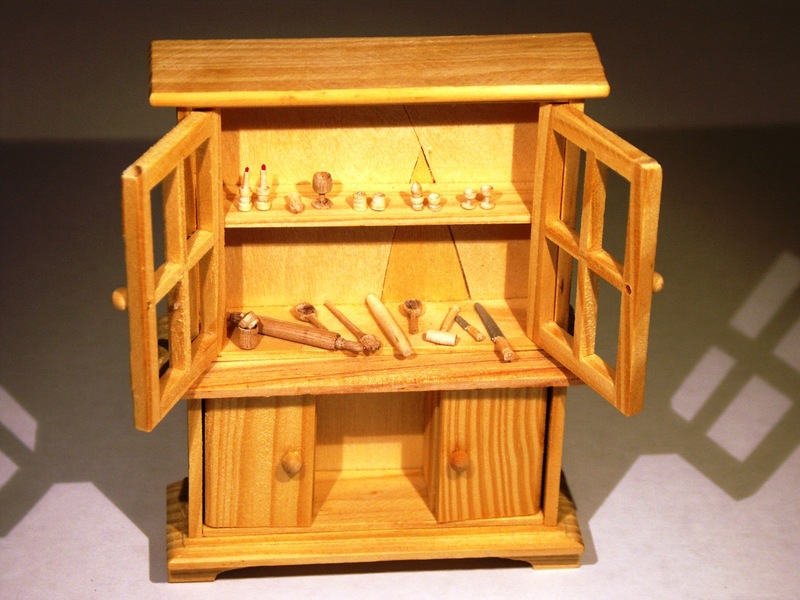 Here’s a wee selection of turned wooden items that fit nicely into a 1:12-scale dollhouse kitchen, from rolling pin, knives, spoons and mallet to salt’n’pepper shakers, lemon squeezer, egg cups and even a set of mini candles in holders. Just the job for all those miniature cooking and baking needs you’ve been craving. Well, how would you fancy turning your very own set? Join me at Lee Valley in Vancouver on Saturday, October 19, 2013 as I introduce woodturning on a mini scale and help you create your gallery of kitchen goodies. No prior experience needed and all the tools – including a micro lathe – will be available for the day for each mini woodturner in training. Wish I lived closer so I could attend. All the best with prepping, I hope many will drop in! I hope so too, but not too many. There is only so much space, and everyone should get attention. I shall look for your spirit. Ghosts get a discount…..